All boxes are handmade in Denmark and made of environmentally friendly wood from the EU, aluminium and steel. For Model 26", we offer both a hub motor system and a mid motor system. The hub motor system is a great all round option and is equipped with a powerful walk assist. The mid motor system is made by Pendix. It delivers an almost silent and natural feeling. The Pendix system is recommend in areas with a flat terrain and in situations where you do not require a high payload. 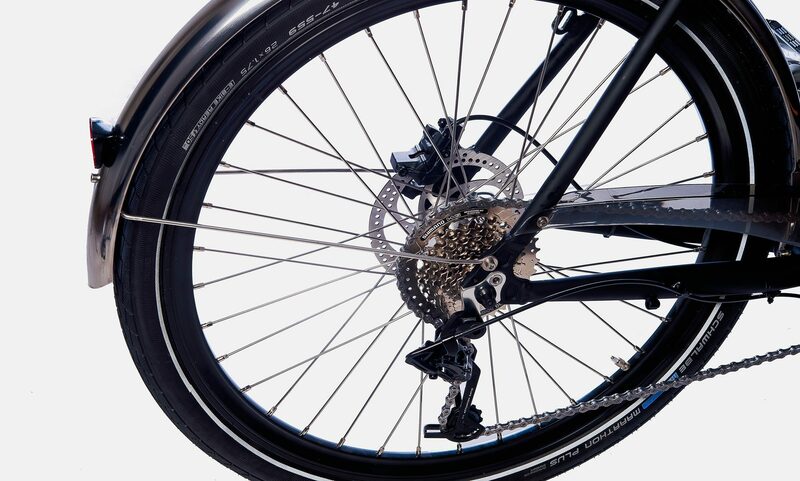 Model 26" is always equipped with our derailleur system. 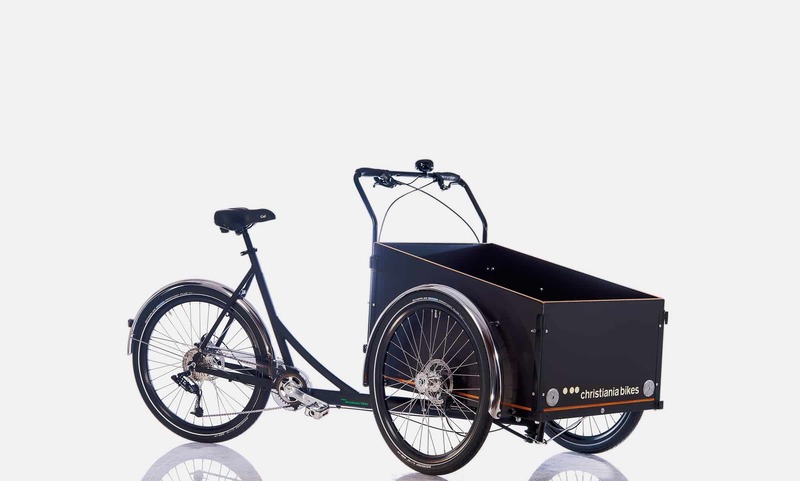 Model 26″ is mainly used to transport children and lighter items. 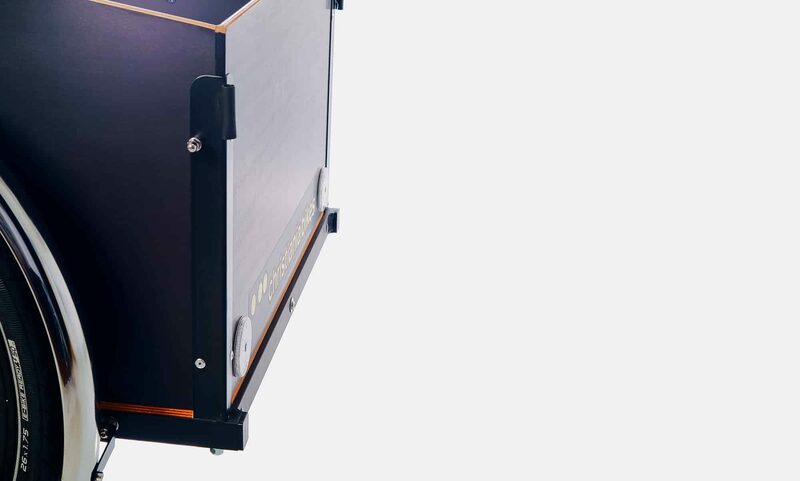 This model is not as versatile compared with many of the other models, which have a higher payload. 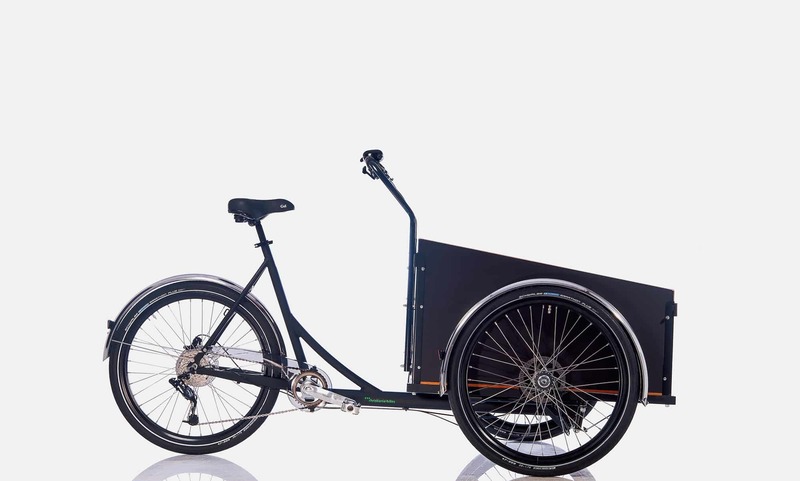 On the other hand, Model 26″ has a recessed body for improved steering and 26″ wheels for improved rolling resistance. 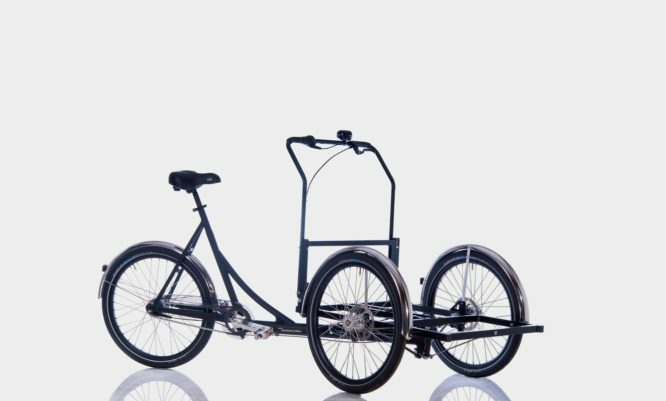 This model is always configured with our hydraulic brake systems on both the from wheels and the rear wheel and our derailleur gear system. 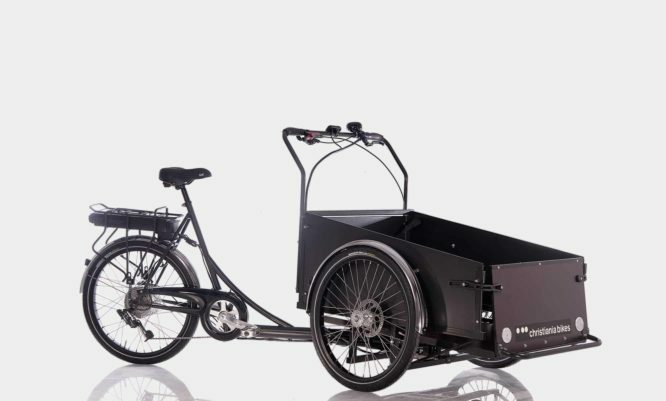 Model 26” started as a project to mainly develop a smoother handling and to improve the rolling resistance of the existing classic models. Instead of improving the existing classic models, model 26″ turned out to become part of the product family in 2004. In many ways, this model has unique characteristics and stands out from the rest of our classics models. One way to develop a smoother handling was to recess the body to lower the center of gravity. 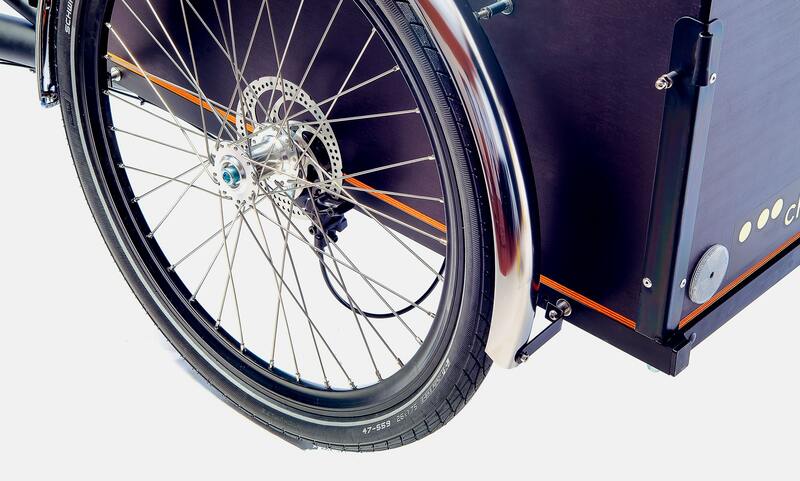 On the same time, a larger wheel size would improve the rolling resistance. As a result, 26″ wheels were installed on this model instead of the standard 24″ wheels. The use of 26″ wheels meant that the wheel brackets needed to be mounted more freely. Instead of using our strong wheel axels to fix the wheel brackets to the front frame, heavy bolts are fixing the wheel brackets to the front frame. The 26″ wheels are then positioned lower compared with the other classic models which has resulted in a more recessed body. The advantages of this construction are that the handling is smoother and the rolling resistance has been improved. The disadvantage of this construction is that the wheel brackets are more freely fixed compared with the other classic models. Thus, the construction of the 26″ model is not as strong as other classic models. 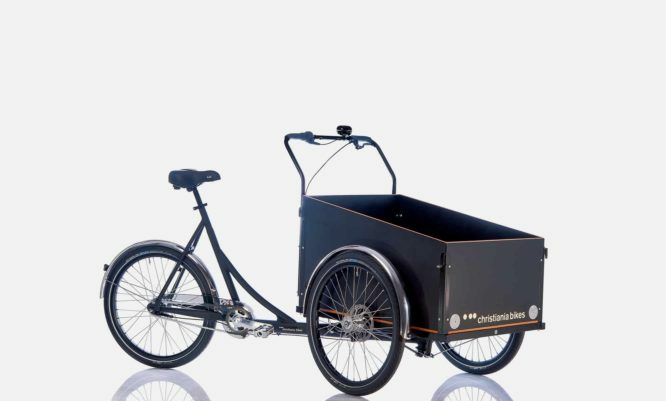 Model 26″ is therefore mainly intended to transport children or lighter items. 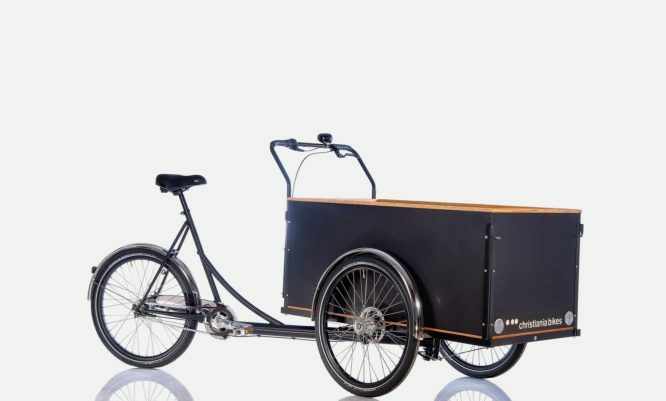 It is not as flexible as other of our cargo bikes which can carry more weight.